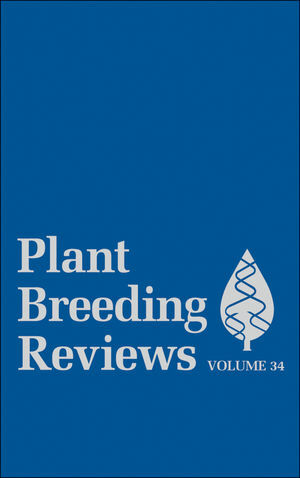 Plant Breeding Reviews presents state-of-the-art reviews on plant breeding and genetics covering horticultural, agronomic and forestry crops, incorporating both traditional and molecular methods. The contributions are authored by world authorities, anonymously reviewed, and edited by Professor Jules Janick of Purdue University, USA. The series is an indispensible resource for crop breeders, plant scientists, and teachers involved in crop improvement and genetic resources. 1. Dedication: Kenneth J. Frey: Oat Breeder, Educator, and Champion of Plant Breeding (Ann Marie Thro and Larry Robertson). II. Early Life and Career Beginnings. V. Champion of Plant Breeding: The National Plant Breeding Study. Selected Publications of Kenneth J. Frey. 2. Strategies for Enhancing Grain Yield in Maize (M. Tollenaar and E. A. Lee). II. Opportunities for Future Yield Improvement. IV. Improvement in Resource-Use Efficiency. 3. Quality Protein Maize: Progress and Prospects (G. N. Atlin, N. Palacios, R. Babu, B. Das, S. Twumasi-Afriyie, D. K. Friesen, H. De Groote, B. Vivek, and K. V. Pixley). II. Quality Protein Maize: A Complex Genetic and Biochemical System. III. Human Nutritional Benefits of QPM. IV. QPM a s Livestock Feed. V. Progress in the Development of QPM Hybrids and Synthetics. VI. Release and Adoption of QPM Cultivars. 4. Vegetative Phase Change in Maize: Biotic Resistance and Agronomic Performance (M. A. Chandler, E. S. Riedeman, and W. F. Tracy). II. Vegetative Phase Change and Biotic Resistance in Maize. III. Vegetative Phase Change and Agronomic Performance in Maize. IV. Vegetative Phase Change and Pest Resistance on Other Plant Species. 5. Plant Interspecific Hybridization: Outcomes and Issues at the Intersection of Species (Ed R. Morgan, Gail M. Timmerman-Vaughan, Anthony J. Conner, William B. Griffin, and Richard Pickering). V. Genomic and Gene Expression Consequences of Interspecific Hybridization. VII. Estimating Donor Parental DNA Content in Progeny From Hybrids. 6. DNA-Based Identification of Clonally Propagated Cultivars (Hilde Nybom and Kurt Weising). V. Conclusions and Future Outlooks. 7. Designing Marker-Assisted Inbred Line Development Strategies Using Computer Simulation (Guoyou Ye and M. van Ginkel). II. Requirements for Modeling Breeding Program. III. Recent Development in Genetic Mapping. IV. investigating the Effectiveness of MAS Strategies. V. Examples to Demonstrate the Design of MAS Strategies.